United Way of Bemidji Area makes available for general review our annual audit. With a commitment to transparency, accountability and results, United Way of Bemidji Area enables you to make a difference right here in our community, and to see the difference you are making. Every year, each United Way is required to adhere to a set of standards and requirements that have been dictated by United Way World Wide. 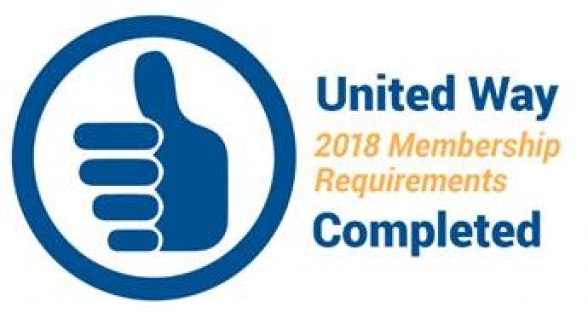 In order to use the United Way name and logo, United Way of Bemidji Area must successfully prove its compliance with these rigorous membership standards on an annual basis. The Thumbs Up logo lets our partners and supporters know that United Way of Bemidji Area is in good standing with United Way World Wide. United Way of Bemidji Area's financial statement has been prepared and certified by KBA Peterson Associates (auditors). Auditors certify that the financial statements meet government requirements, and ensure quality financial practices. IRS Form 990 is an annual reporting return that certain federally tax-exempt organizations must file with the IRS. It provides information on the filing organization's mission, programs, and finances.